International Open Access Week starts today and runs from October 24–30, 2016. For all of the details, visit www.openaccessweek.org. This year’s theme is “open in action” with an emphasis on how you can take practical steps to implement open access in your library or support its growth. 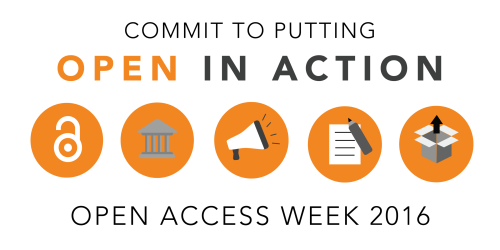 The Open Access Week organization is asking librarians to sign up and take “concrete steps to open up research and scholarship and encourag[e] others to do the same”. Sign up at www.action.openaccessweek.org. 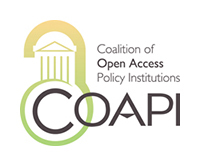 The Coalition of Open Access Policy Institutions (COAPI) exists to allow member libraries to help develop and share open access policies. Sponsored by SPARC (the Scholarly Publishing and Academic Resources Coalition), COAPI offers best practices and advocacy for open access. To become a member library, see sparcopen.org/become-a-member. While open access repositories and journals are free for end users, they do cost money to set up and maintain. Forward-thinking libraries are beginning to allocate funds to support open access resources (and to support faculty who want to contribute articles to them). 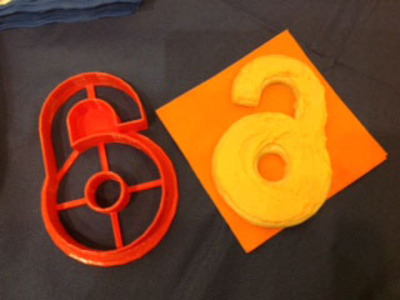 Here’s how you can support open access resources. FOLIO stands for the Future of Libraries is Open, an open source library services platform. Learn more about it by reading our recent FOLIO: An Open Library Services Platform article. Work has progressed swiftly since its introduction in June 2016. Join the FOLIO Project Discussion site to get involved. Back in April you might remember the news that EBSCO was giving $1 million (or more) to help fund the development of a new open library services platform (LSP). American Libraries wrote about this on their blog post EBSCO Supports New Open Source Project. EBSCO has a Vice President of Open Source Platforms & Communities, Christopher Spalding, who is taking an active role in the project. At the time of EBSCO’s announcement the name of the project had not been announced. Modular — snap-in modules (apps) can be contributed by libraries or vendors. During the ALA 2016 Annual Conference the FOLIO project was announced. FOLIO stands for the Future of Libraries is Open. It is currently a software platform to be used as a starting point to build library services. Consider FOLIO as a “cloud-based operating system” for applications. The project is being led by the Denmark-based company Index Data headed by Sebastian Hammer (a panelist at the ALA 2016 Annual Conference) and the Open Library Environment (OLE) directed by Michael Winkler. The main source of funding comes from EBSCO. The Open Library Foundation, a nonprofit oversight organization, was set up to direct the project. Index Data will be responsible for building the core platform which will be released as open source software under an Apache version 2.0 license. The FOLIO platform software can be downloaded and installed locally or hosted on cloud-based servers from library vendors such as EBSCO, SirsiDynix, and ByWater Solutions. Index Data intends to make the platform “as little as possible” and not create obstacles to development. Read the FOLIO press release: Introducing FOLIO – A new collaboration bringing libraries, service providers and developers together to speed innovation and redefine the future of library automation (June 24, 2016). On top of the FOLIO platform, developers from library vendors, organizations, and member institutions will build modules, applications, and services. Apps will include traditional ILS service modules such as Acquisitions, Cataloging, and Circulation. We should eventually see LMS functionality including electronic resource management, OPAC, data conversion, and resource sharing. Native Linked Data output is not in the works but it is expected that this model will be supported. 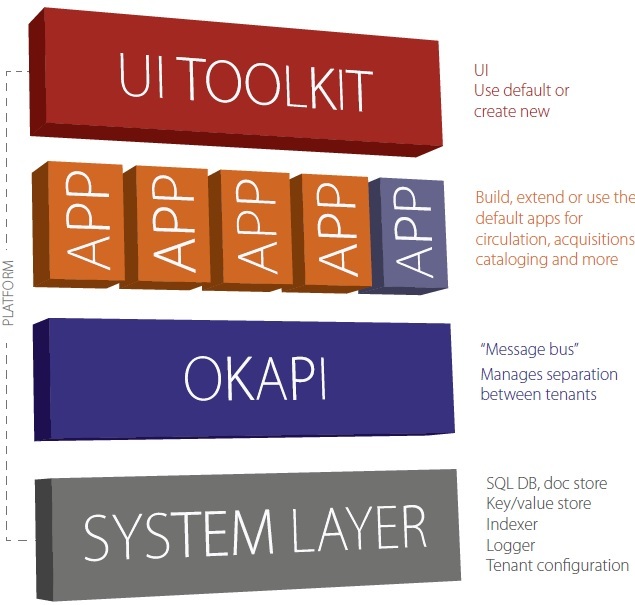 Developers of existing library services can choose to port their applications to FOLIO or simply build integration points to their current systems. The FOLIO platform should make software with open APIs even more attractive to users. In August, Index Data will release prototype code on GitHub. Developers can then turn their attention to building microservices. Note that although the FOLIO platform itself is open source and free, some of the premium apps built to run on it might be created and sold by library vendors. FOLIO Website – News updates at www.folio.org/news. OLE Website – Blog posts at www.openlibraryenvironment.org. Email Lists – Subscribe and archives at lists.openlibraryfoundation.org. We will certainly be following this project and bringing you more information as the platform launches and develops.